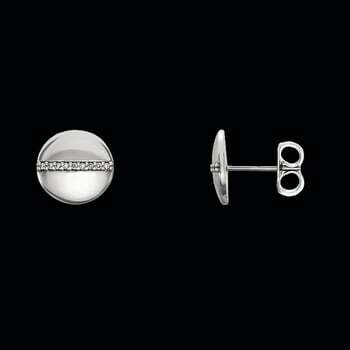 Platinum Diamond Line circle earrings. Diamonds are an great accent in t his pair of earrings. Pair of earrings weighs 4.66grams. Check out our video. Friction backs included are also Platinum.